When it comes to learning tidbits of history, finding tucked-away local gems or simply exploring Albany by foot, technology is here to help! A few local attractions and venues have embraced all things digital with virtual tours, apps and cell phone audio tours. These tools enhance the Albany visitor experience – sometimes before the tourist has even arrived! Keep reading to learn more about apps, virtual tours and other digital experiences offered in Albany. A self-guided tour of Albany’s neighborhoods and historic sites is at your fingertips! 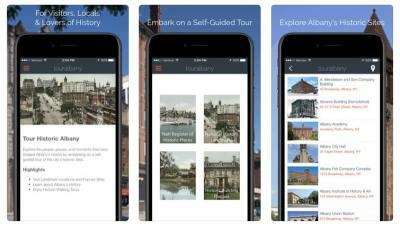 Last summer, Samantha Toews of Columbia Development and the Historic Albany Foundation developed a “Tour Albany” app. The app locates the user’s GPS location and maps out nearby historic sites, providing a fascinating backstory to the buildings. There are also listings for Albany sites on the National Register of Historic Places, National Historic Landmarks, Historic Districts and Historic Building Plaques. The app is a great tool for both visitors and locals to discover new streets and hidden jewels throughout downtown Albany. The Tour Albany app was backed by a grant from Capitalize Albany’s Amplify Albany Grant Program. Additional support and funding for content development was provided by Renaissance Albany Hotel, Albany County Convention and Visitors Bureau Foundation, and Hudson River Valley Greenway. Take a step inside the Albany Capital Center without leaving your couch! You can explore every nook and cranny of Albany’s convention center with the Virtual Reality Tour. This is a fantastic tool for meetings and event planners to utilize when considering the space. Take the VR Tour here! 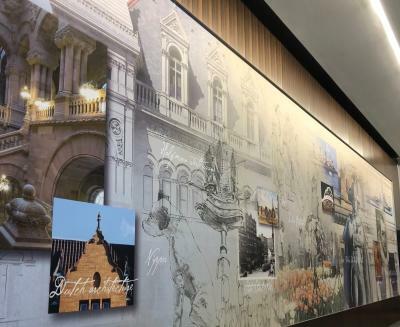 If you do step inside the ACC, take a moment to explore Albany’s rich 400 year-old history through Albany-based artist Dahl Taylor’s murals in the main lobby. The impressive murals visually tell Albany’s story to passersby. Or, visit this interactive website about the murals, and learn more from local historians, about the items being depicted; How many lights are in the Palace marquee? Who built City Hall? 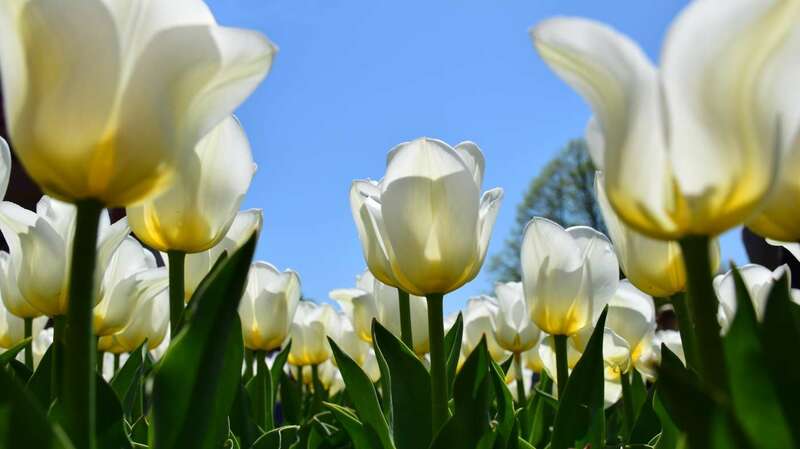 How did Tulip Fest get started? Check it out here! The Albany Institute of History & Art may be the second oldest museum in the country, but thanks to technological and infrastructure upgrades the museum has taken the digital era in stride. The museum now offers the “Family Discovery Audio Tour,” the first in a series of audio tours offered on your cell phone! 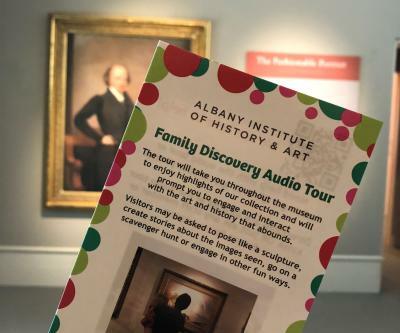 From counting the cows in the Hudson River School paintings to learning more about Alexander Hamilton’s Albany connection, this audio tour is a fun, interactive way to explore the art museum! Plus, all you need is the cell phone in your pocket! Learn more about how the tour works: aiha.oncell.com. Have you noticed the Albany Visitors Kiosks popping up throughout the city? Discover Albany launched these electronic kiosks in 2016 to help greet and guide "in the moment" travelers. 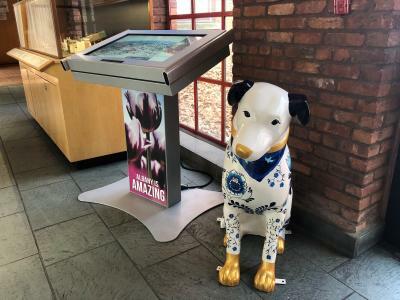 The electronic kiosks offer visitors information on what to do, where to eat, and what to visit during their stay in Albany, with a highly-visual, easy-to-navigate interface. You can find the kiosks at busy tourist destinations in downtown including the Albany Heritage Area Visitors Center, the Times Union Center and the Albany Capital Center. Keep your eyes peeled for more coming online in 2018.